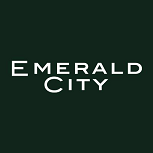 In a Nutshell: The iconic tale The Wizard of Oz gets yet another adaptation in the NBC drama Emerald City, which launches with two hours tonight. Best Case: This show has been picking up social media interest at a rapid rate over the last couple months, and it's the kind of visual spectacle event that can get people watching TV even on Friday night. It starts at least as well as MacGyver did back on premiere Friday, and it holds even more of the audience long-term. 1.45. Worst Case: The reviews are lukewarm, and it just has that feel of a show that will not be able to sustain a Live+SD audience on a low-viewed night. It starts modestly tonight and falls into mid-fractionals within a few weeks, resulting in the same kind of Plus as previous Grimm lead-outs like Dracula (55) and Constantine (55). 0.65. Likeliest: I'm not really sold it will go into major breakout territory, like a high-1 for tonight's premiere. (Then again, I didn't think MacGyver would do that well either.) But it's been hot enough in Facebook interest that I think it can do well over a 1, and that's gonna be a major boon for the full season average since the double-length premiere will be 20% of the 10-episode run. That said, I also wouldn't be surprised at all, even with a 1.4-1.5 premiere, to see it south of 1.0 by the third or fourth week, a combination of rejection plus people moving into delayed DVR viewing. It ultimately ends up settling at or just barely above Grimm numbers (thinking 0.8-0.9) and a 1.04 average for the full season. Over an 80 Plus for a Friday series seems like it should be a renew, but it's going to have a lot of competition on a much deeper NBC for these Friday slots. Grimm (0.90 A18-49, 62 A18-49+ last year): After a strong run as a Friday night surprise, NBC's genre drama took its biggest dip yet in season five and got an announced, shortened final season that starts tonight. After limping through the fall, the show actually seemed a bit stronger in the second half of last season, and it also may get some benefit from the Emerald City pre-tune factor. I think it ekes out a 1.0 tonight and ultimately settles around a 0.8 for most of the way, and that would be up in Plus from last season. Likeliest: 0.83. Sleepy Hollow (0.82 A18-49, 56 A18-49+ last year): One of the closest bubble renewals of the 2015-16 season, Sleepy Hollow is back for a fourth season with a heavy revamp that includes the loss of its female lead. It was already struggling last year, and leading out of relocated Rosewood with multiple drama competitors will not exactly lead to an injection of audience. I expect Rosewood to get mostly 0.6's with the occasional odd 0.7, and Sleepy Hollow to be a tenth below that on average. Likeliest: 0.52, and on the wrong side of the bubble this time.